Too hot to handle in more ways than one. If you don't already own a Basis Peak, then you'll probably never get the opportunity to see one up close and personal. The wearable has barely registered in market-share metrics but has suddenly made a name for itself after being recalled. Which is a shame, because history is likely to remember it as that watch that caught fire and burned its owners. That would be an enormous disservice to a gadget that's one of the most seriously underrated wearables on the market. There were plenty of things to love about the Peak, but king of them all was its extraordinarily good battery life. Most devices with a built-in optical heart rate monitor require regular trips back to the charging cradle, but Peak lasted for four or five days at a time. That longevity meant you could wear it for almost an entire working week -- day and night -- without worrying. 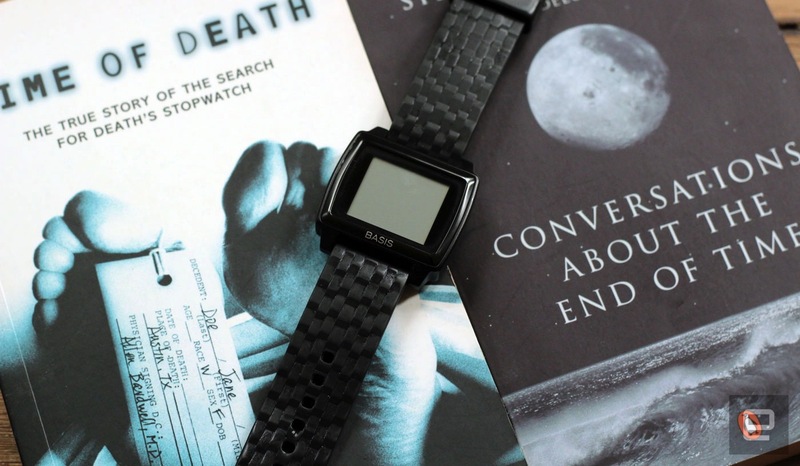 It wasn't the prettiest device; a rectangular slab with a wide 1.25-inch touchscreen that simply sat on your wrist. But then again, I always appreciated its stripped-down and spartan look. And, save for the bezel and logo, it had no flourishes of any kind. It may have looked more comfortable in a gym than under a suit cuff, but its lack of pretension meant it didn't draw attention to itself at a formal occasion. I'm not immune to the Peak's flaws, the biggest one being its terrible, horrible, no good, very bad companion app. Then there was the user interface which, like Snapchat, relied upon a series of hidden swipes and gestures that you had to figure out on your own. For instance, a double tap closed you out of whatever function you were in, while a swipe up the right side of the display activated the backlight. Aside from one morning when I was late to work after forgetting the backlight command and thinking I had hours left in bed, that process of discovery was fun rather than arduous. Another great thing about the Basis Peak was that, for the rest of the time, it simply got out of your way. Plenty of full-blooded smartwatches want to replicate the experience of using your smartphone on your wrist. But that's a terrible idea in practice; there are lots of things you can do on an inch-wide display that you probably shouldn't. Since the Peak was a gussied-up fitness tracker, it offered the bare essentials, but when time and battery life are so precious, doing fewer things very well is crucial. The Peak knew when you began and finished your workouts without you telling it. It could track your steps and monitor your heart rate once it detected activity. For example, if you were walking, the device would automatically switch to pedometer mode and tell you your step count, time and distance. Similarly, you could leave it on the HRM screen to check if you were on the cusp of a heart attack when you'd overexerted yourself at the gym. I'm not immune to the Peak's flaws, the biggest one being its terrible, horrible, no good, very bad companion app. Seriously, it's one of the worst fitness device apps I've ever used, making Basis the spiritual opposite of Jawbone, which produces brilliant apps and garbage hardware. I'd often tell colleagues (who struggled to share my love of all things wearable) that Intel should buy Jawbone just for its app. Basis' offering was simply that bad. Basis' software issue was simple: Rather than focusing on letting users draw conclusions on the macro level, it was obsessed with minutiae. Every element of your day was broken apart, making it useless to actually analyze your motion over a week. Plus, it was ugly as sin, slow and generally unfriendly -- and perhaps, fire risk aside, one of the biggest things that held the device back from being a winner. I'm also worried that Intel might decide that the bad PR has tarnished the Basis brand to the point where it's not worth saving. When the recall was announced, Basis revealed that the Peak's online services would be shut on Dec. 31st, 2016, giving customers only five months to migrate their data. When I contacted some Intel reps to ask about Basis' long-term future, the wave of "no comment" responses felt ominous. This is speculation, but perhaps Intel would prefer partnerships -- such as with Tag Heuer -- to be the future of its wearables strategy. Which is a shame, because the demise of the Peak is a sad day for everyone who may not want something as flashy or demanding as an Apple Watch or Android Wear device. With its long battery life, subtle UI and continuous HRM, its spiritual successor is the Pebble 2+Heart Rate, although that doesn't launch until September. The Basis Peak was a great device, notwithstanding its apparent propensity to explode. I, for one, hope that the team that created it gets the time and backing to get a do-over.